Luka is a son of legendary former Benfica and Valencia player – Zlatko Zahovic, who is the most capped player and the all-time top goalscorer for the Slovenia national football team. He was born in Portugal and holds both the Slovenian and Portuguese nationalities, but decided to represent homeland of his father. He made his first team debut on 26th May 2013 in a league fixture against Aluminij – he replaced Ranko Moravac after 77 minutes. This season he was sent to Maribor’s feeder team NK Verzej to gain some experience and there Luka scored 3 goals in 7 matches of Slovenian Second Division. After his return to “The Violets”, so far he played in 3 league games and debuted in Europa League – in the away match against Rubin Kazan he made an assist and played very well overall. He has represented Slovenia on many youth levels – in 2012 he participated in the UEFA Under-17 Championship, where he managed to scored one goal in 3 matches, but unfortunately Slovenians were eliminated already in the group phase. 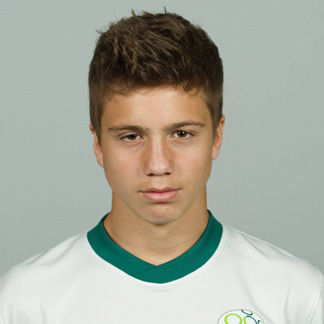 Currently he is a U-19 national team player.